Try your hand at fishing to save an Indian tribe Sharp Tomahawk from dying of starvation! It turned out that some species of fish living in waters of the ocean can be sold for a pretty sum of money! The neighbor tribe seems to have stolen your idea, so you should hurry: the more time you miss, the less fish you'll get. For security reasons, you should also check out the Catch a Fish download at LO4D.com which includes virus and malware tests. Additional screenshots of this application download may be available, too. 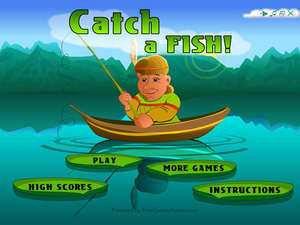 Catch a Fish has a presence on social networks.